Japan is looking for Pacific Islands support in one of the main international headline issues of the moment. 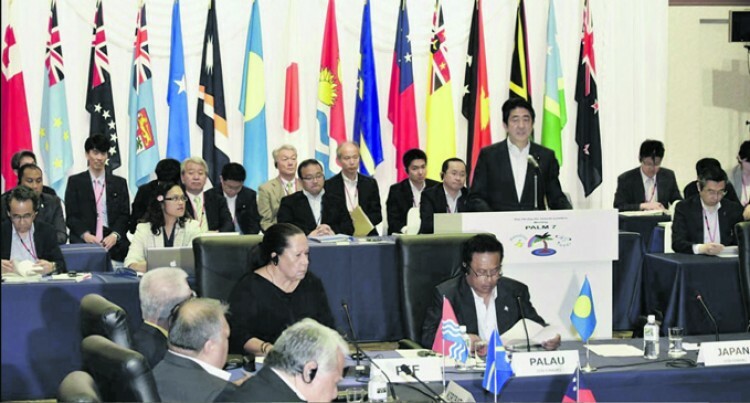 The issue is likely to be dis­cussed in Iwaki City, Fukushima, Japan, this week in meetings dur­ing the Japan-Pacific Islands lead­ers summit, known as PALM8. Japan wants Pacific Island countries’ support in continuing to implement the United Nations sanctions placed on North Korea, says the country’s ambassador to Fiji Masahiro Omura. The sanctions are over North Korea’s nuclear and ballistic mis­sile programme and Japan wants the pressure maintained until the North Koreans actually denu­clearise the Korean Peninsula. Japan has good reason to be wary being so close to North Ko­rea and with North Korean mis­sile tests nearby. “In the context of diplomacy in this area (Pacific), we are hoping that the countries in these areas implement sanctions decided by the Security Council of the UN because to achieve peaceful reso­lutions of the matter, we need to put pressure on North Korea,” Mr Omura said. The sanctions, among others, in­clude the ban of seafood exports and inter-trade with North Ko­rean ships. Japan, a key United States ally, has held a tough stance against North Korea for many years. “Through negotiations and peaceful means, we would like to achieve solutions of this nuclear and missile and abductions is­sues,” Mr Omura said. “The sanctions need to be im­plemented in a unified way. If there is a loophole in this area, North Korea may get benefits from that loophole. So we would like to avoid the Pacific and South Pacific becoming a loophole for sanctions. American President Donald Trump has just welcomed home three American prisoners re­leased by North Korea as rela­tions between the two countries seemingly improve. But there has so far been no mention of Japanese citizens North Korea stands accused of abducting. According to international me­dia, Japanese diplomats are lob­bying the U.S and South Korea to include their release in the peace talks. They will also be lobbying the island nations at PALM8 to help keep up the pressure..